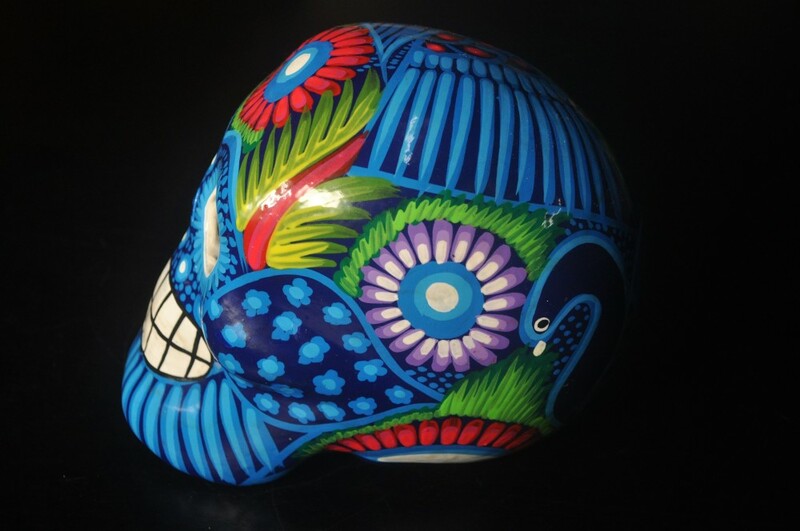 Day of the dead skull azul is handmade from clay and painted by indigenous tribes in Guanajuato, Mexico. Gloss finish. 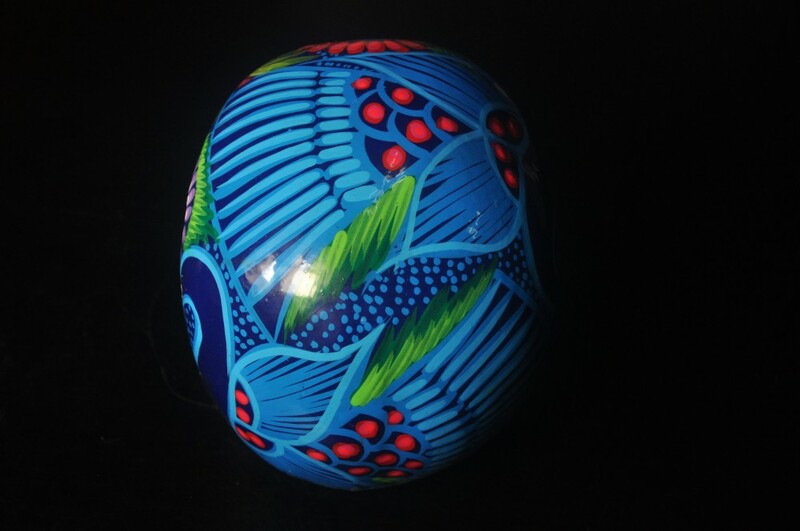 These handpicked one off pieces have been purchased in market places directly from the indigenous artists. This fair trade is supporting indigenous communities and tribes of Guanajuato, Mexico sustain themselves and their traditions/art. Day of the dead Mexican skulls are used to symbolise and celebrate those who have passed.